PROJECT GOAL: To design an easy-to-use resource guide for families in the community. 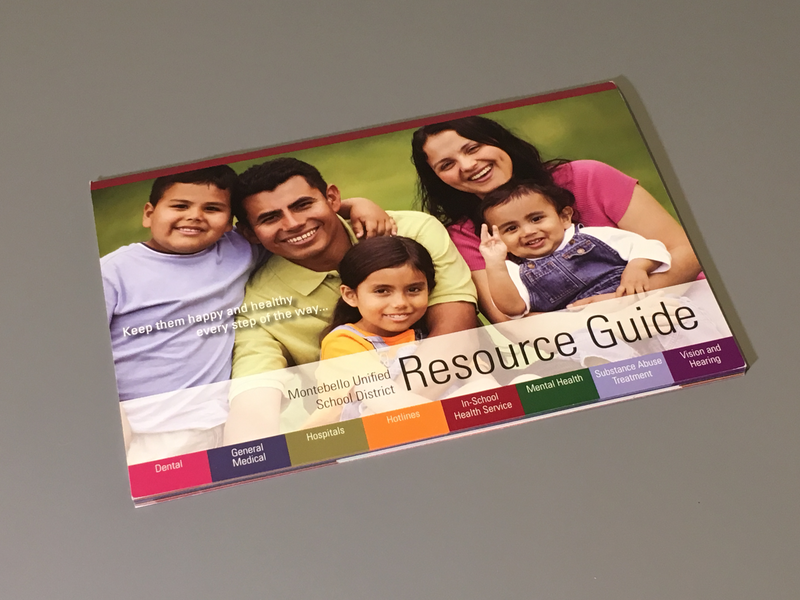 Montebello Unified School District, located in Southern California, wanted us to produce a resource guide that would be available to families, which included various organizations within their community. Currently, the information was contained in a large Word Document. Our goal was to reorganize the content to enable a user to easily find and digest the desired information. By color coding information categories and using matching icons, one could now go directly to a specific category while skipping everything else. 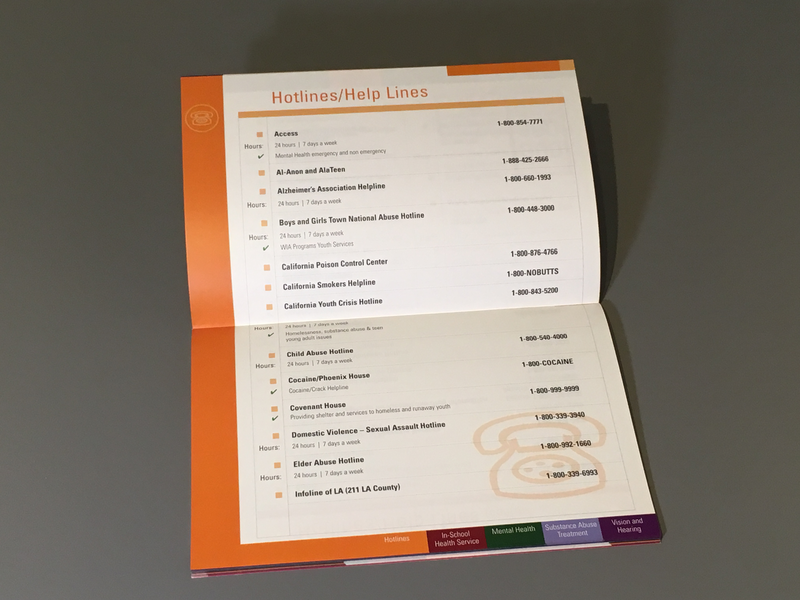 The cover design and use of colors throughout created and attractive and user-friendly resource guide.